Glass Vessel Sink in Icicles with Shadow Faucet in Chrome The VIGO Icicles Glass Vessel Sink and Shadow Faucet Set in a Chrome Finish will create a clean and modern, yet smooth and sleek addition to your bathroom. 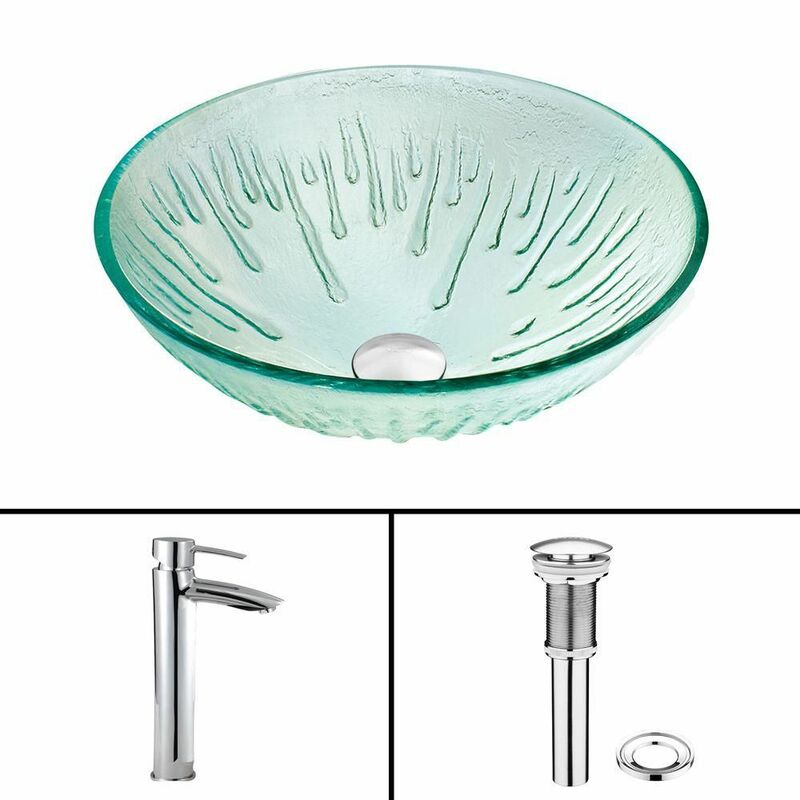 The VG07006 Icicles glass vessel sink features a refreshing and inviting icicle-like pattern engraved into clear glass. Handmade with possible unique and slight colour variations, so no two sinks are identical.